How Much Caffeine is in Espresso? » What is a Macchiato? 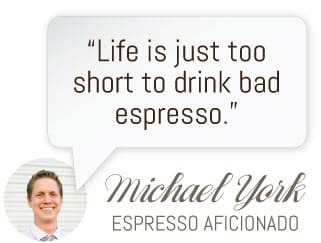 Hi there, I’m Michael York, espresso aficionado. I fell in love with espresso drinks a few years ago while traveling through Europe. The quality, time and care taken with each cup blew me away. Since then, I have been perfecting my cup at home and I write about the art of espresso on this site as a passion project. I have been published multiple times in Coffee Talk magazine and have even traveled to Indonesia and tried the infamous Luwak coffee (cat poop). Most coffee drinkers think they know exactly what a macchiato is (pronounced Mah-KEY-AH-toe). Chain coffee purveyors like Starbucks and Coffee Bean and Peet’s all have a macchiato on their menus. Even McDonalds has some crazy concoction they claim is a macchiato. It’s not uncommon to have ordered a macchiato a time or two and enjoyed the pretty layering of milk, coffee and maybe some caramel (admit it, you’ve totally done it). Unfortunately friends, I’m sorry to say, what you’ve been drinking all these years is not a traditional macchiato. It’s an American re-imagining of the original Italian beverage. In this brief article I’ll go over what the true Italian macchiato is and how it is prepared, as well as the common American macchiato and how it’s different. Trust me, if you ever find yourself in Italy, you’ll be glad you’re prepared. Spoiler: Italians do NOT include a caramel drizzle. And a macchiato doesn’t come in a venti size, it’s actually the opposite. Heartbreaking, I know. How do they even live over there? In Italian, the word “Macchiato” literally means “marked.” And that is pretty much what happens when the drink is prepared. An Italian macchiato is a shot of espresso served in a demitasse (“small cup” in French) cup and finished with a light portion of foamed milk on top. I like to think of the macchiato as a middle ground between a simple, strong espresso shot and a cappuccino. It comes in a teeny cup like an espresso, but has just a dash of milk foam, not so much as a cappuccino, but enough to counter the bitterness of the espresso shot just a bit. It’s not super easy to drink if you aren’t used to espresso, but that’s where the latte macchiato comes in. It’s also important to keep in mind that Italians do have something called a “latte macchiato” which is not the same thing as the macchiato we just described. A latte macchiato is likely a better choice if you’re looking to approximate an American macchiato experience while traveling abroad. Instead of being an espresso “marked” with milk like the macchiato, a latte macchiato is milk (usually steamed and frothed), that is then marked with espresso. Still no caramel drizzle though, sorry guys. But this does mean the ratio of milk to espresso is much higher and the drink is significantly less strong. It’s an easier one to drink. To prepare a solid latte macchiato, a tall glass is recommended to preserve the layering of the milk and espresso so when viewed from the side, the steamed milk is the largest layer and seen at the bottom, the espresso and crèma from the espresso is in the middle and then a light layer of milk foam rests on top. A good barista will prepare the drink in this order and the layers will be beautifully separate with the espresso being poured on with a spoon. The espresso keeps the drink tasting relatively strong, but not as bitter as the regular macchiato. You should also stir the cafe macchiato prior to drinking. The American macchiato is a variation on the Italian latte macchiato, but usually isn’t the same thing, unless you are frequenting a craft coffee shop where the baristas use more traditional preparation methods and styles. It is often prepared a variety of ways, but typically, it is some combination of steamed milk, espresso and maybe a little foam, depending on whether you order it hot or iced. It isn’t always layered, but usually is when you order the iced variety. There isn’t a lot of delicacy in the preparation and so the taste will vary quite a bit each time. You can also order caramel, hazelnut, vanilla and other flavors to sweeten the drink and add that signature American flare. Just don’t expect to be able to do this many places abroad! 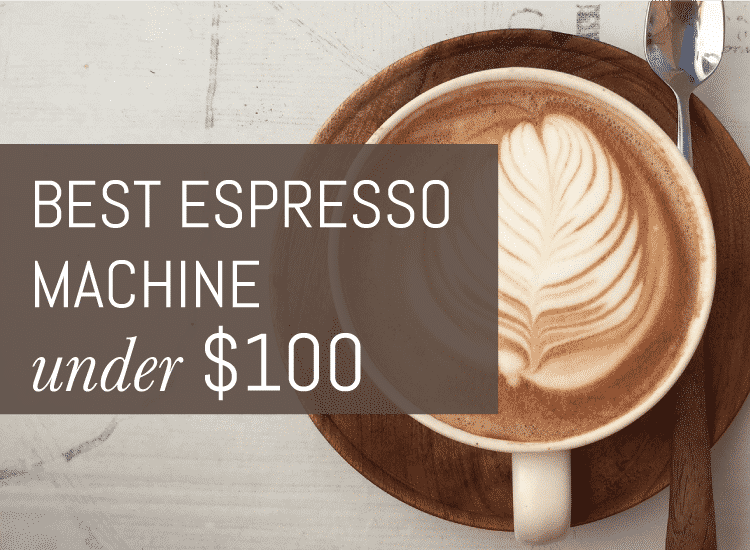 4-Week Free Espresso E-mail Course! Join Mike (me) and learn all the basics of making great tasting espresso!